W Capital, one of the leading real estate consultants in the UAE, will be showcasing MAG Lifestyle Development (MAG LD) projects including MAG 5, MBL Residence and MAG 318 at the Acres Middle East Real Estate Exhibition and Conference, taking place from March 21 to 23 at the Expo Centre Sharjah. Acres is one of the key events in the real estate calendar and has become a prestigious platform for developers to promote and market their portfolios, while also networking with their peers and reaching out to potential investors. 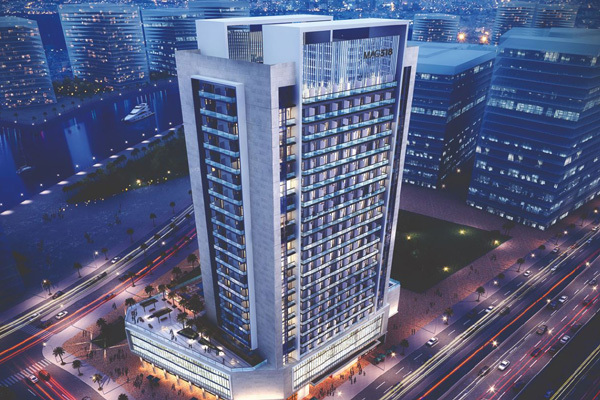 MAG 5 is part of the wider MAG 5 Boulevard community and comprises seven residential buildings that are due for completion in Q2 2019. The Dh800-million ($217.7 million) gated residential community will offer the benefits of a 24-hour walkable community that spreads over 800,000 sq ft of land in the lush Dubai Greenbelt. The project is also situated in close proximity to schools, offices and hospitals, offering convenience alongside elegantly designed landscaping and state-of-the-art amenities including a swimming pool, jogging tracks, gardens, outdoor leisure spaces, children’s areas, a community centre, and a series of retail, dining and leisure outlets. MBL Residence is a 40-level residential tower located in Jumeirah Lakes Towers. The 758,875-sq-ft development features 472 high-end one-, two- and three-bedroom apartments of different sizes. Residents will enjoy premium amenities including private parking, a fully equipped gym and an outdoor swimming pool, as well as restaurants and cafés. The project is due for completion in Q4 2019.